alter Egan is one of the most talented and underrated artists whose music I’ve ever had the privilege to hear. Although known almost exclusively for his late 1970’s hit “Magnet and Steel,” Egan is an incredibly prolific artist who has continued to write and record numerous songs, often releasing multiple albums in the same year. As a solo artist, he has released eight official studio albums and one live album. He has also recently begun the process of remastering and re-releasing his back catalogue on compact disc. 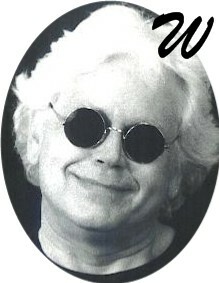 In addition to his solo recordings, Walter Egan has released several albums as a key member of two bands. The first, The Malibooz, is a surf band in the same vein as The Beach Boys. The second is a country band called The Brooklyn Cowboys. He recently joined the ranks of Burrito Deluxe, the latest incarnation of The Flying Burrito Brothers, and had a brief stint as lead guitarist in a group called Gail and the Tricksters as well. In his long career, Walter Egan has had the great fortune of knowing and working with many equally talented musicians, both his contemporaries and his idols. Associates include all of the Rumours-era lineup of Fleetwood Mac (most notably Lindsey Buckingham and Stevie Nicks), Brian Wilson of The Beach Boys, Jackson Browne, Emmylou Harris, Gram Parsons, Tom Petty, John Stewart of The Kingston Trio, Linda Ronstadt, and Dean Torrence of the popular surf duo Jan and Dean. In addition to recording albums, both solo and with his various bands, Walter Egan continues to perform live - frequenting the stages of many clubs and bars in Franklin, Nashville, and the surrounding areas, as well as doing the occasional gig out of state and abroad. This is an unofficial fan site only. It is not controlled or endorsed by Walter Egan, his management, or any other party affiliated with the artist. In addition, this site is not affiliated with WalterEgan.com, the official Walter Egan website. All lyrics, images, and other media posted on this site are copyright of their respective owners and are provided here for personal use/research only. Questions? Comments? Suggestions? E-mail Me!